It had become part of who I am, but I needed to explore its meaning vibrationally, which, for me, means drawing a Symbala. During the drawing process I was feeling the words and seeing a swirling vortex, a conduit of connection for the fluidity of Source. This is what we are and the more conscious of it we become, the more awakened we are to being conduits of the eternal flow. When I finished, I was stunned. This was a Symbala filled with heart and love. 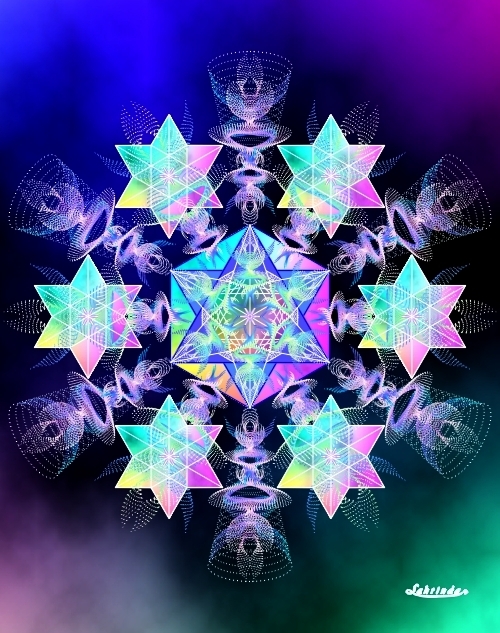 �Conscious Conduit� focuses energetically through the �6� geometry, which is the fusion of male/female energy (the star tetrahedron) in the heart.